We started off with a calamari pack. The calamari had a nice batter, and came with some light and fluffy pita. 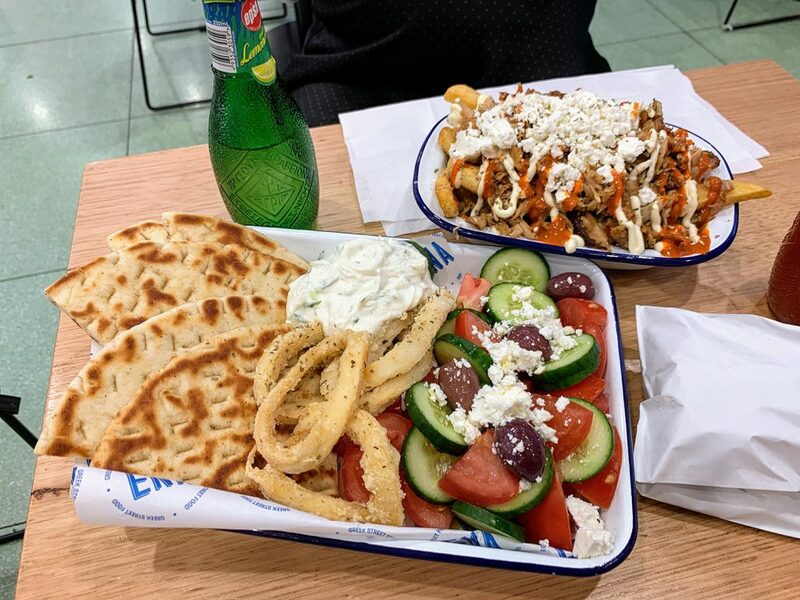 The greek salad on the side was a great accompaniment. 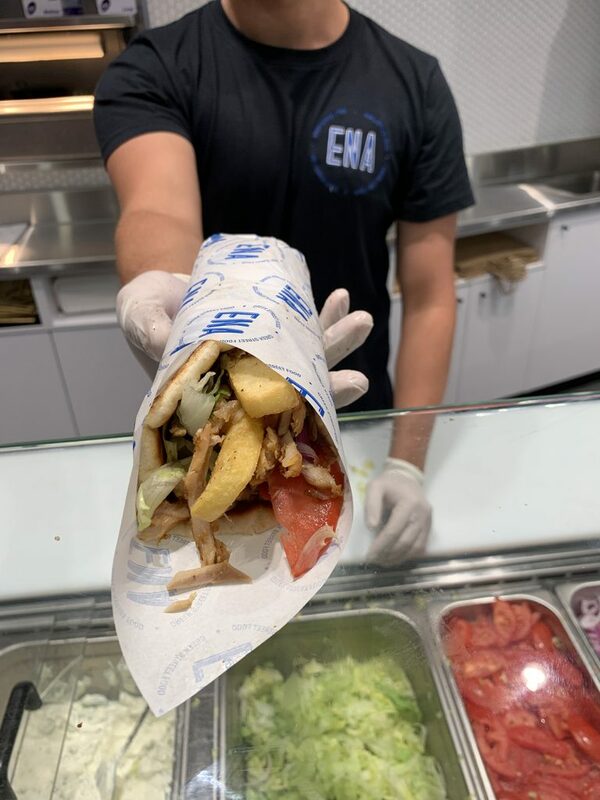 The lamb souvlaki was my favourite dish at Ena. Juicy lamb off the spit, crunchy lettuce and chips on warm pita. An amazing on-the-go option too. 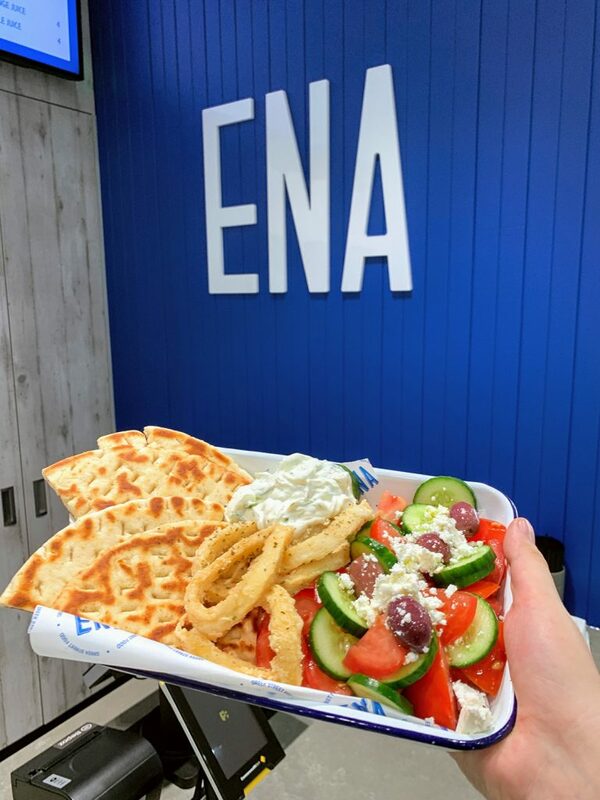 Grab some of their Greek soft drinks while you’re at it. I enjoyed the blood orange Epsa soft drink. 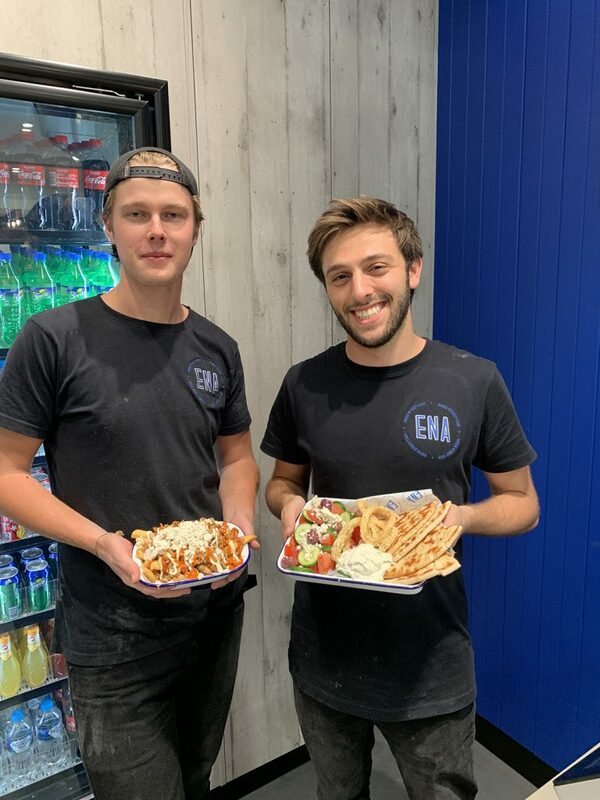 The Greek Snack Pack is Ena’s take to the famous Halal Snack Pack! 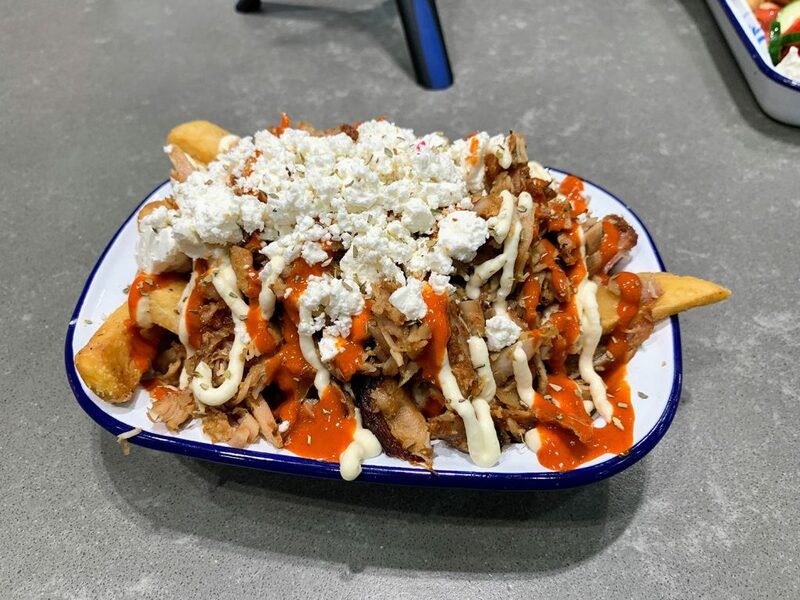 It has lamb, chicken and chips slathered with garlic & chilli sauce, topped with fetta cheese. Not for the faint of heart, this dish is a flavour explosion.